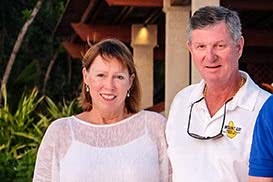 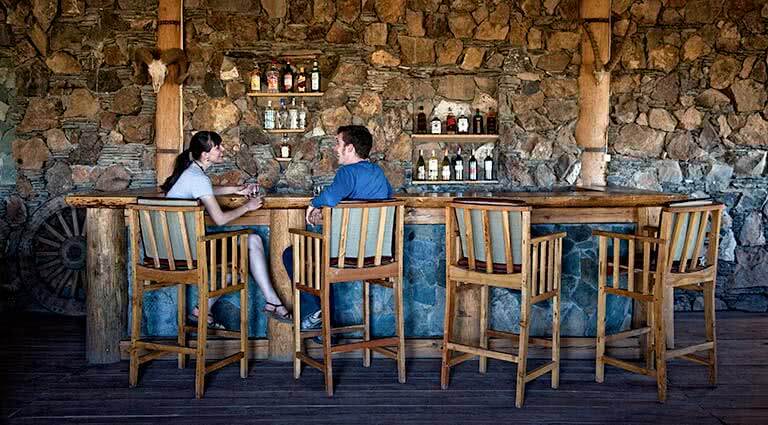 Principals: The lodge is built according to environmentally and culturally sustainable development guidelines. 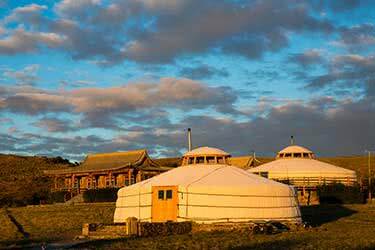 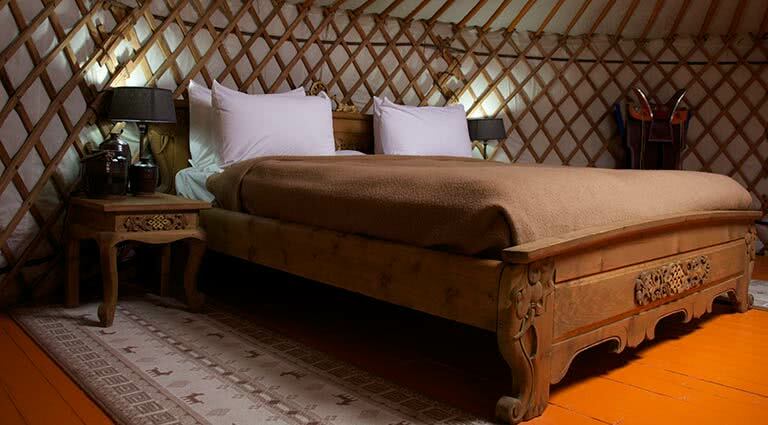 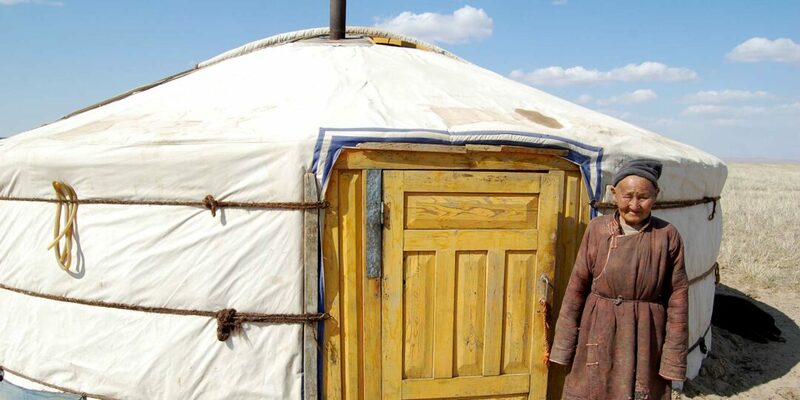 Accommodation: Experience living in a traditional felt tent of Mongolia’s nomadic herders. 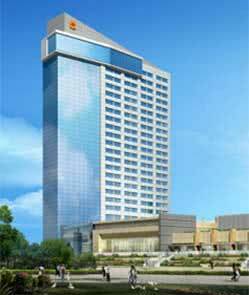 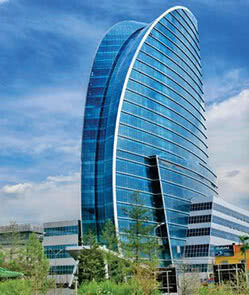 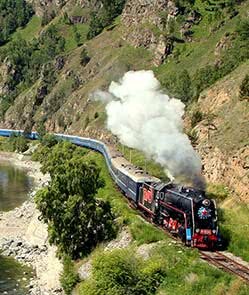 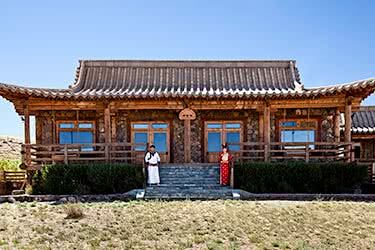 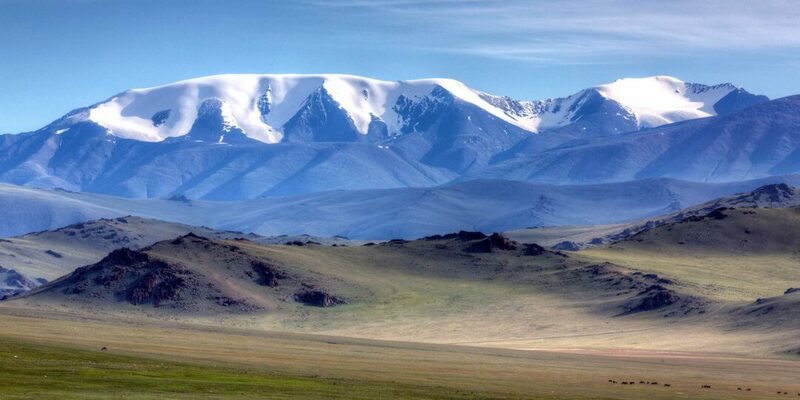 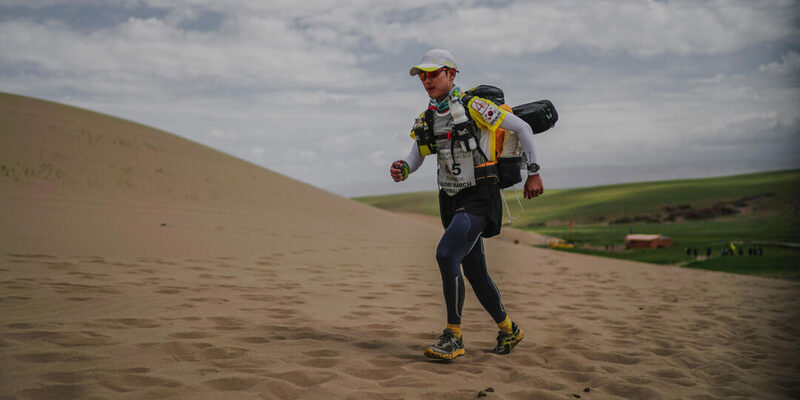 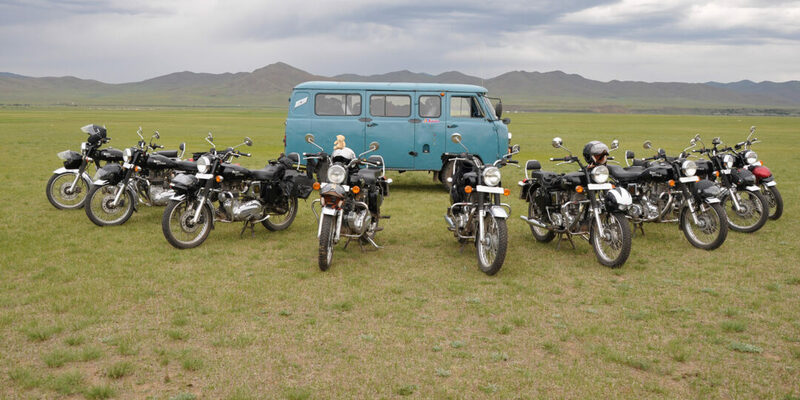 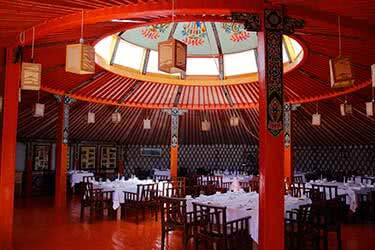 Surroundings: Stay in the unforgettable environment of the Gobi Desert's stunning Gobi-Altai Mountain Range. 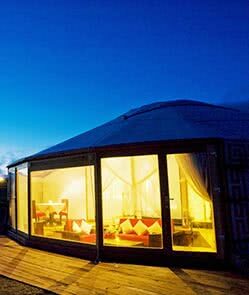 Three Camel Lodge is home to 20 Deluxe Ger. 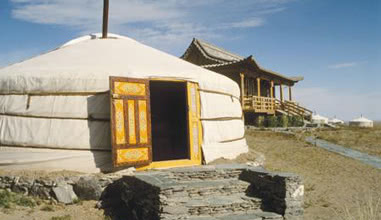 Ger are the traditional dwellings of Mongolia’s nomadic herders. 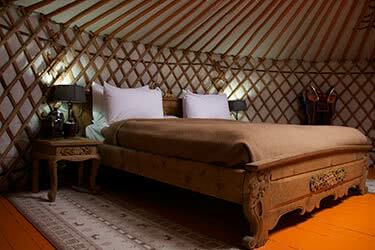 The handmade felt tents are constructed using latticed wood, which is layered with felt and canvas. 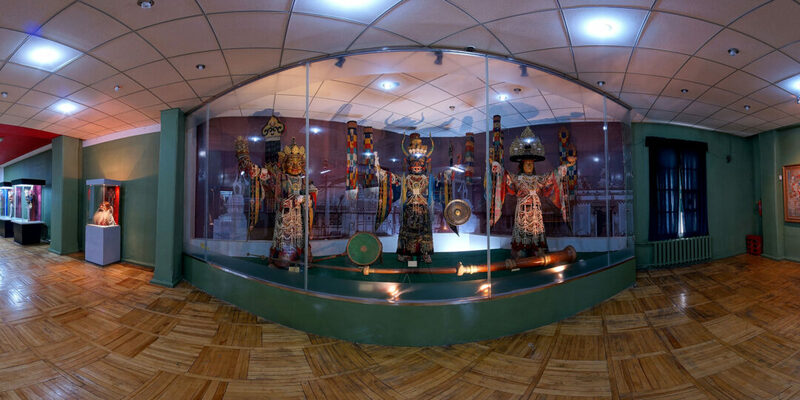 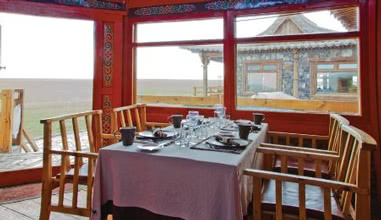 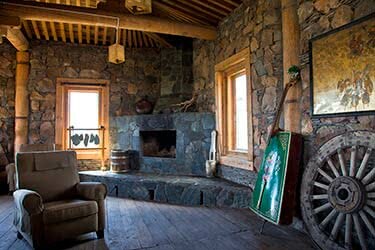 The gers are designed inline with nomadic Mongolian traditions by being built with south-facing doors, providing an unobstructed view of the desert the Gobi-Altai Mountains The gers have king size beds with hand-painted wooden-frames, private bathrooms and individual wood burning stoves keeping them cozy on dark nights. 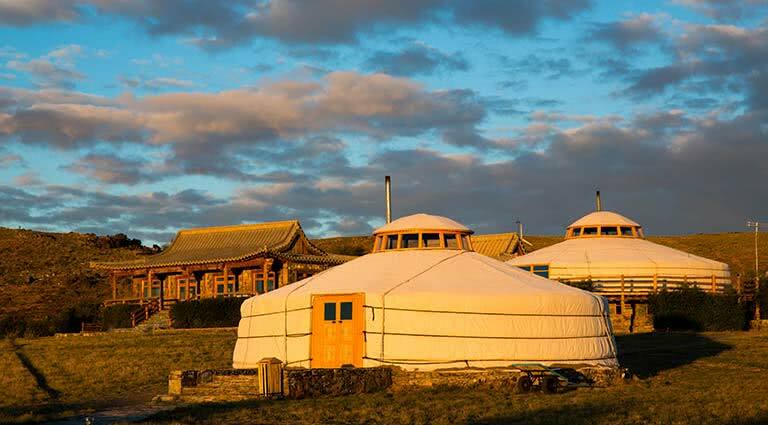 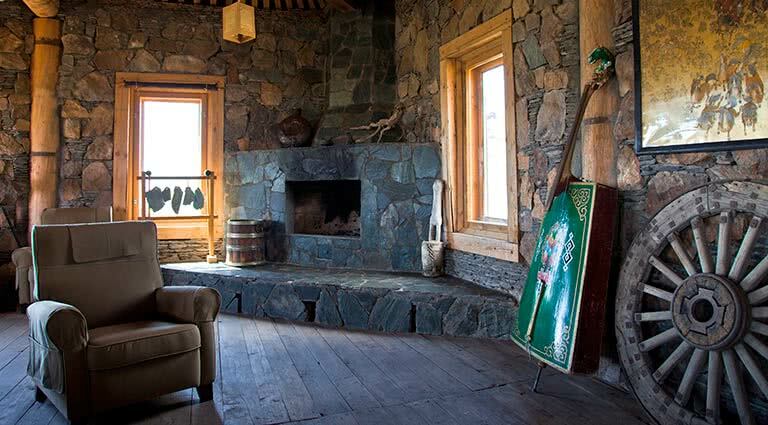 The well-furnished gers come with luxury amenities including Mongolian-styled bathrobes, felt slippers, and locally produced toiletries with camel milk moisturizing lotions. 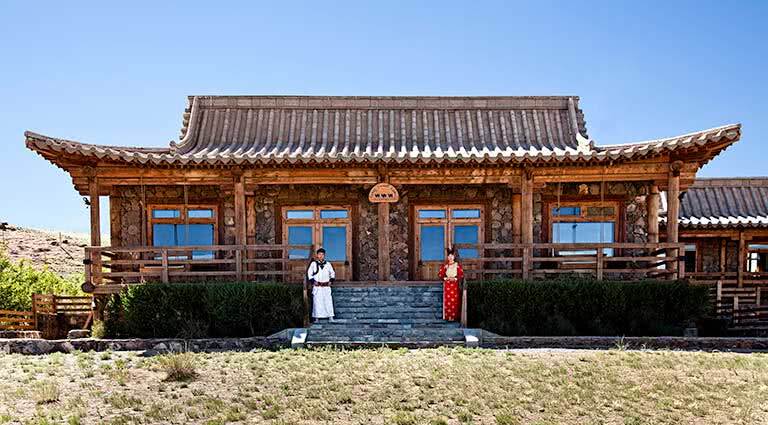 Dino House is located in the center of Three Camel Lodge, it is built in the style of a traditional Mongolian temple and provides guests space for relaxtion and contemplation. 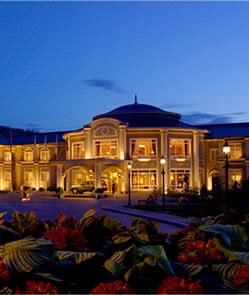 The resort has a private spa offering massages and other treatments by trained staff. 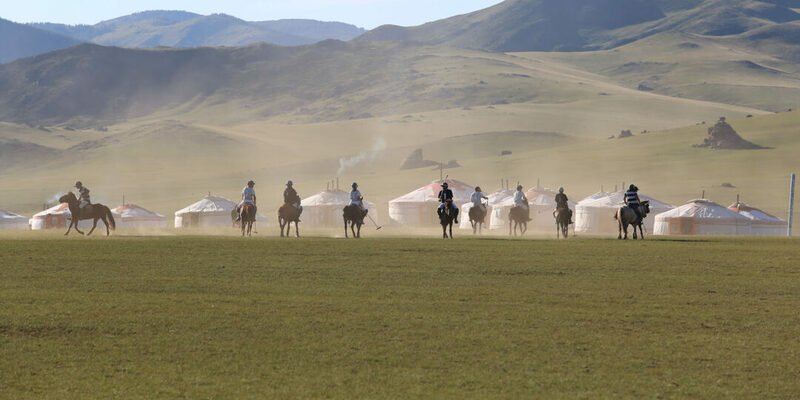 Though there is no gym or pool, the surrounding great outdoors cater for a number of invigorating activities such as walking, trekking and horse riding. 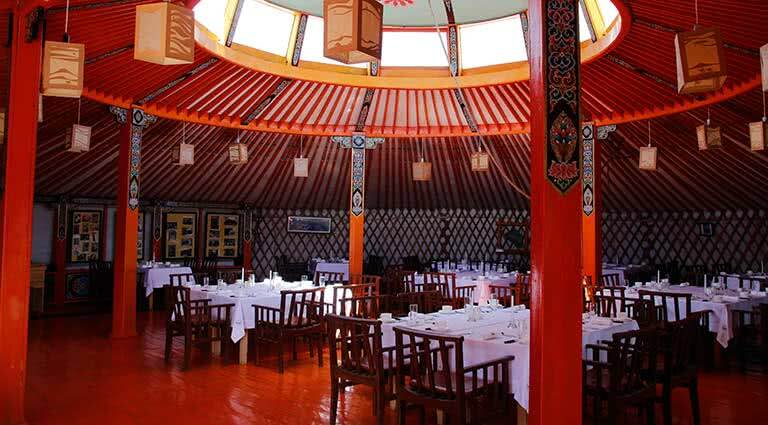 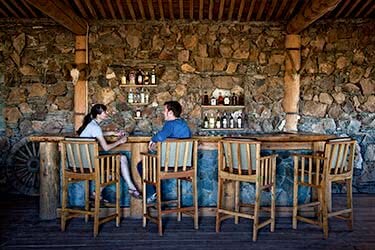 The lodge has a traditional circular restaurant serving local and international cuisine as well as a cozy bar. 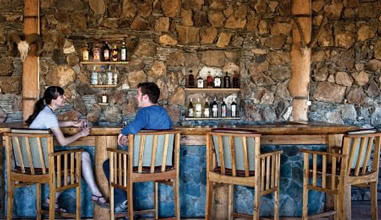 Thirsty Camel Bar, is situated in a naturally geo-cooled room underneath the restaurant, serves beers, wines, spirits, and soft drinks.